Reasons for optimism about recovery? Dare I say it? Things are looking up for businesses. It's too early to call the economic recovery a solid upturn. The current upward path is still plastered with warning signs: "Beware potential dips ahead." Yet three developments during the past week converged to lend new optimism about our financial mending. The first is a package of bills that is sailing through the Legislature with blessings from both the business lobby and the trial lawyers. The foes came together to usher through significant protections for businesses against lawsuits — changes that could save them millions of dollars a year in claims — while the lawyers scored a few wins of their own. The idea is that businesses would use those savings, however big or small, to steady their balance sheets. 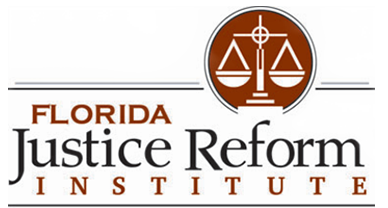 "If you look at most retailers with low margins and high competition, you find that those costs are passed on to customers," said William Large, president of the business-backed Florida Justice Reform Institute. It remains to be seen, however, if businesses will now also pass anticipated savings from the legislation on to customers. Publix Super Markets Inc., which lobbied hard for a bill that makes it more difficult for customers to sue the store if they, say, slip and fall on a banana peel in the produce aisle, wins the tallest tort reform trophy. The bill, one of four in the package, essentially puts the burden on the customer to prove the store was negligent, a reversal of a 2001 state Supreme Court decision against Publix that retailers say opened up the floodgates for fraudulent slip and fall cases in Florida. According to Large's group, Publix's average payments for slip and fall cases soared 141 percent for its Florida stores after the court ruling compared with an increase of just 59 percent at its stores outside Florida. Big tourist attractions like Walt Disney World will also benefit from the legislation, but that may be little consolation considering Disney's loss on another one of its priorities that was heavily watered down in the name of compromise. That bill sought to allow parents to waive the right to sue when their children are hurt or killed on rides or other activities because of a business' negligence. The new version only allows parents to sign away their right to sue because of an "inherent risk" — such as a big wave knocking over a jet ski — but leaves companies open to far more troublesome negligence lawsuits. Overall, though, businesses appeared to exercise improved clout over the trial lawyers with longtime advocates John Thrasher, R-St. Augustine, and Joe Negron, R-Stuart, taking seats in the Senate this year. Bank of America last week unveiled a new program in which it will forgive up to 30 percent of the principal on tens of thousands of home loans in which the owners are underwater. The once unthinkable plan now could be poised to become the new industry standard in dealing with the ongoing foreclosure crisis. With Bank of America coming around to the idea, other lenders are expected to follow. That could go a long way toward keeping people in their homes and making payments rather than walking away. And, in turn, could help steady the housing market and increase consumer confidence. On Friday we learned state unemployment crept up slightly to 12.2 percent in February from 12 percent in January. But on the bright side, hiring was also up with a gain of 26,300 jobs from January — the first positive month-over-month job numbers since November 2007. There's no guarantee the growth will be sustained, but as we move into the summer, it's possible that increased seasonal hiring by the tourism industry could help keep the momentum going.